Morning sickness, if you want to call it that, is an incredible struggle for me. Visit What Every Woman with Severe Morning Sickness Wants You to Know to learn more about the struggle. Today, I have an amazing opportunity for those of you who suffer from severe morning sickness, hyperemesis gravidarum, or even what most consider to be “normal” morning sickness. Amy, a mom who has suffered with HG almost to the point of death, wrote today’s guest post about a product that she helped create that has significantly reduced her morning sickness to that point that she can actually function in pregnancy. In addition to sharing with you about this product, she has also graciously offered to give away a 30 day trial of the entire Pink Stork system–that’s a $180 value. I am intrigued by this product and can’t wait to try it with my next pregnancy. This is a sponsored post, but as always, I only share products that I love and would use myself. I wanted to review this product myself, but since I’m not pregnant, there was no way to do that! See my disclaimer for more information. I dealt with HG for three of my four pregnancies.I finally kicked it to the curb with this one because of the exact products we now sell. My husband, my mother (who is an RN), two of my OBs, and a few other women I know all put our heads together to figure out the best course of action for my fourth pregnancy. We narrowed the diet down and then started searching for dietary supplements. Many of them exist on the market in other forms like magnesium flakes, peppermint oil, etc. but we had to formulate the Foundation, Pro, and Cocolaurin, among others. We spent almost all of our savings getting these products created. It was a huge financial jump for my family, but we were willing to do whatever was necessary to avoid HG again. Once I found out I was pregnant with my fourth baby, we started on the exact protocol we sell for the 30 day plan at Pink Stork. Even though I felt the HG start, I was able to keep it at bay because of the products and because of a clean diet (mostly low-carb and high protein).For the first time in all my pregnancies I didn’t go to the hospital once. I went from vomiting an average of 8 times a day to barely once (if that). I didn’t have to get iron infusion therapy (I had it for my previous three) and I didn’t spend a single night in the hospital. As we witnessed these amazing results we were convinced we had to get these products out to other people, so we assembled a team, pitched the idea, raised some money and that’s how Pink Stork was born. I had four HG pregnancies back to back to back to back, from 2010 to 2014. I spent over 95 nights in the hospital and my hospital bills were over $730,000. I also had home health care for 3 weeks with my first pregnancy. During that pregnancy I had a PICC line installed for IV and anti-nausea medicine. Unfortunately I contracted acinetobacter baumannii and went into septic shock when my husband left the house for an errand. I spent 22 nights in the hospital for that incident during which the doctor gave me 24 hours to live if I didn’t make a recovery. Obviously I recovered and I’m fine now but that was a scary time in my life. The other two pregnancies were not as bad because I was mentally prepared but approximately half of the numbers above were during my 2nd and 3rd pregnancies. Pregnancy was full of multiple hospital admissions, countless IVs, and living on Zofran. In my second pregnancy, the doctor had Zofran suppositories created in a lab in Hawaii – those really saved me, but I still went to the hospital daily for four months for IVs. Iron infusion was also involved for both of these pregnancies as well as the first. None of that happened in my fourth pregnancy, and that is nothing short of a miracle. It really convinced the other team members that we had a valid approach for morning sickness relief, and that women would see results from trying this. But I also would not be where I am today without the support of my family which is why we are committed to doing the 5% profits to need-based grants for women. As a mother of four who suffered from 3 hyperemesis gravidarum pregnancies, I joined a team of dedicated professionals to found Pink Stork in order to provide women with safe, clean, and effective products to treat morning sickness and improve pregnancy health. Pink Stork provides individual products as well as their most popular and comprehensive offering, the 30-Day Treatment Plan, which includes all nine products and a 20 page program guide on diet optimization, research sources, best practices, and scheduled dosages. Hippocrates, the father of modern medicine, stated: “All disease begins in the gut.” Morning sickness is no different. Testimonials from women around the country using Pink Stork agree. Pink Stork products are not a gimmicky miracle. Rather, they take a total-body, realistic approach to reduce your pregnancy nausea and improve your health. Research tells us a few things about morning sickness. First, pregnancy hormones and the body’s enhanced insulin response increase nausea and vomiting. Second, countless studies have indicated the presence of helicobacter pylori as a precursor to severe morning sickness. Third, the lack of certain nutrients (like magnesium) is a possible culprit, and finally, a heightened sense of smell is responsible for the trigger odors that frequently cause nausea and vomiting. Pink Stork addresses each of these causes in their product lineup with each product working in concert to reduce morning sickness and improve pregnancy health. First, Pink Stork Cocolaurin attacks H. pylori and other harmful bacteria in your gut, which contribute to morning sickness and overall poor health. Cocolaurin is a wonderful immune booster for all ailments and is naturally derived from coconut oil. Next, Pink Stork Pro, a powerful probiotic, maintains the body’s healthy flora and works together with Cocolaurin to ensure the eradication of destructive bacteria. Pro also helps maintain regular bowel movements and heartburn, two common issues for pregnant women. Third, Pink Stork Tea and Pink Stork Vinegar contribute to gut maintenance and ease gastrointestinal cramping and acid reflux. The organic ginger pieces in the Tea help quell nausea and the organic Vinegar is an excellent addition to water that helps you stay hydrated. Fourth, Pink Stork Foundation serves as the cornerstone for a healthy pregnancy. Pink Stork Foundation replaces six bulky pills with one easy-to-swallow, quickly absorbed, liquid tablespoon. These liquid nutrients provide vital nourishment for mother and baby. Next, Pink Stork Folate provides folate in a whole food, liquid format. Folate is far superior to the industry standard folic acid. Folate has also been shown to reduce the risk of pregnancies affected by spina bifida and other neural tube defects. A versatile product, Pink Stork Oil is 100% organic peppermint oil designed to help ward off trigger odors that frequently start bouts of nausea and vomiting. It can also be utilized in traditional aromatherapy applications and can be added to water to reduce spasmodic activity in the stomach. Finally, Pink Stork Flakes and Pink Stork Mist help rectify magnesium levels in the body. Magnesium deficiency is frequently linked to nausea and vomiting during pregnancy. Mist provides on-the-spot reduction of nausea and Flakes are an excellent addition to a relaxing foot soak or a warm bath to ensure a great night of sleep. Pink Stork Products are organic, non-GMO, vegetarian, gluten-free, additive-free, contain no added fillers, and are from whole-food sources when available. Furthermore, we offer a FREE two-day shipping and a 100% satisfaction guarantee. If you don’t like the products, return them and Pink Stork will provide a full refund. Pink Stork also uses 5% of all profits to provide need-based financial grants to women suffering from severe morning sickness. Our goal is to ease the financial burden of women battling severe morning sickness, because I was one of them. Finally, Pink Stork customer service is available 24/7 to discuss any specific product or treatment recommendations for your unique pregnancy situation. Visit pinkstorksolutions.com to see why women have ranked Pink Stork products a 4.7/5 with over 40 reviews so far. P.S. In their most recent survey of 22 women who purchased the Pink Stork 30 Day Treatment Plan, customers reported an 81% average reduction of morning sickness symptoms and a satisfaction rate of 94%. What do you have to lose? Today, Amy at Pink Stork Solutions is giving away an entire set of their line of products, the 30 Day Treatment Plan. It’s valued at over $180. And the best part is that all you have to do is enter below. If you subscribe to their newsletter, you will immediately receive a copy of the Pink Stork’s Morning Sickness Solutions Guide. This 20 page document thoroughly outlines their plan and advice regarding hyperemesis gravidarum. Honestly, whether you want to use their products or not, any woman suffering from extreme morning sickness would benefit from reading this. And if you want, you can immediately unsubscribe and we’ll still enter you in the contest. Seriously. This looks amazing! How wonderful to have all the research and supplements in one place! To me, the hardest part of morning sickness is feeling like a failure as my house falls to shambles, my children watch hours of tv, and my husband is left with all the work and finding his own dinner. I completely agree. Life goes on hold for 9 months, which is like an eternity to small toddlers. It’s rough. The hardest part for me is being unable to do anything and having no family around. It was miserable. I still remember crying with my youngest because I felt so horrible and he didn’t understand why Mommy was so sick. I know, they just can’t understand. 🙁 It’s rough. As a birth doula and friend of many moms who suffer HG I have seen and worked first hand with many women who have suffered morning sickness and HG . I felt so helpless . I know Amy personally thru all of her pregnancies and saw how debilitated she was . These products literally saved her life . I have also been a doula for two other moms that used this and can not tell you how relieved they were to have relief . 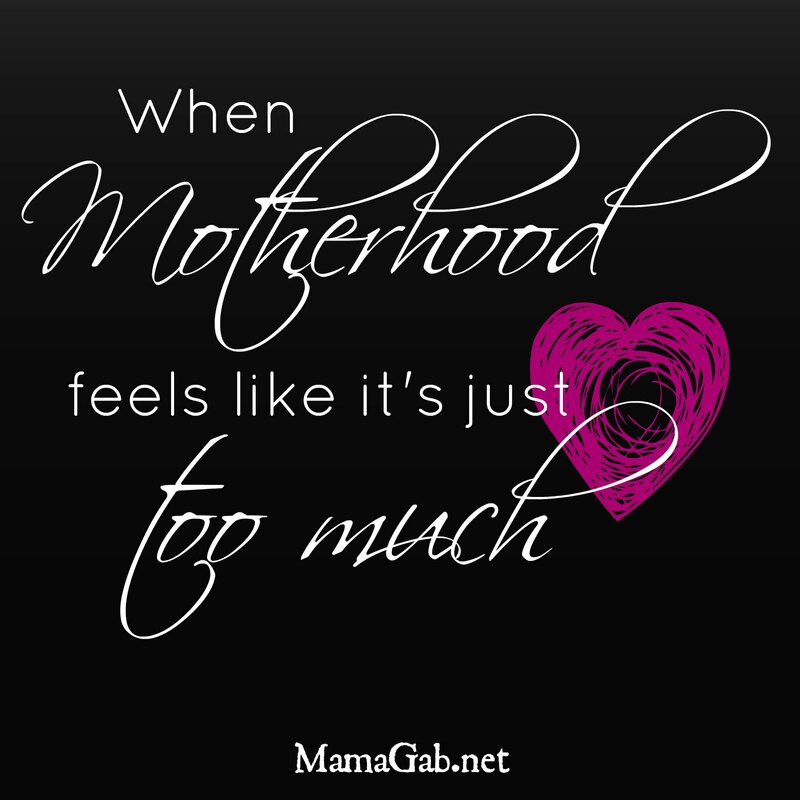 I love hearing your story, as someone who has been there to support these moms. Thanks for all that you do and for chiming in! I hope more moms can find relief through this. I suffered from terrible morning sickness my first pregnancy and believe now that the prescription drugs have caused me multiple other health issues. I’d love to be able to use something that is made from “healthy” plants etc to help with morning sickness! Look forward to trying these! They seem like amazing products! I’d love to give it a try next time around, combined with her plan. I am just starting my last trimester of my 4th HG pregnancy, and am still willing to try anything for relief! I’d love to win this!!!! This is my third pregnancy and my first using these products and I can totally tell a difference!!! Night and day!!! Just found out I am pregnant with my second today…my first had me in the bathroom sick a majority of the time…i only gained 8 pounds. This would be amazing! The hardest part is not being able to get things done and not having the energy to entertain my toddler. Yes! I was waiting to get in touch with her before announcing it here. Thanks so much for being a part of the giveaway! It’s so tough! We are waiting a while for #4 just because of the miserable morning sickness. My husband and i have been wanting to.have a baby together we tried once but things didnt go as we wished for and we lost our baby. During that pregnancy i got really sick from HG it was really bad to a point were i didnt get up from bed for 3 months i was hospitalized with iv oxygen everything i ate would come out. I couldnt eat or drink anything to a point were i would vomit and caused me where i would start throwing up blood already . HG is one of the worst things a pregnant woman can go threw . So now i just went threw this page and was reading this. My husband and i want a baby but we think bout it because of my HG symptoms . But reading this makes me wanna get it and try it out wining or loosing just make me wanna give it another shot. Thank you for making me know there are things that could work and giving me that faith that i could be able to have another baby with out having to deal with HG.